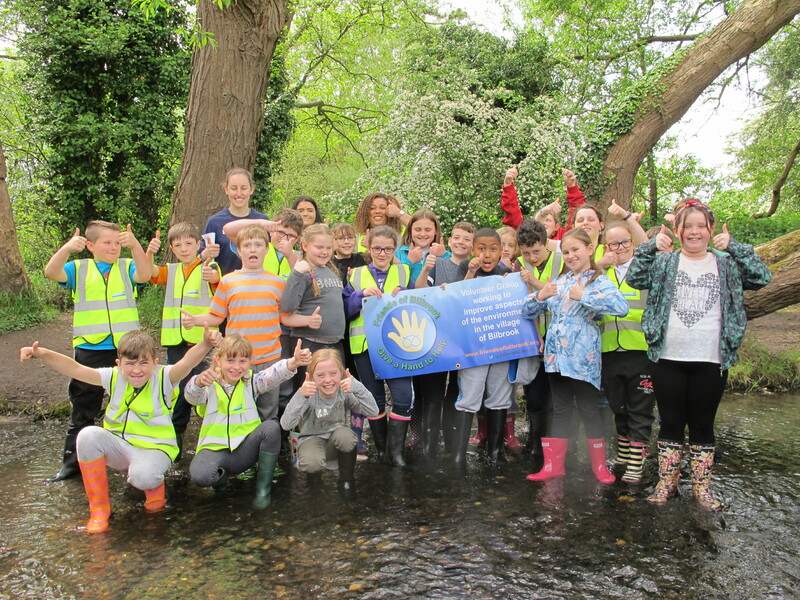 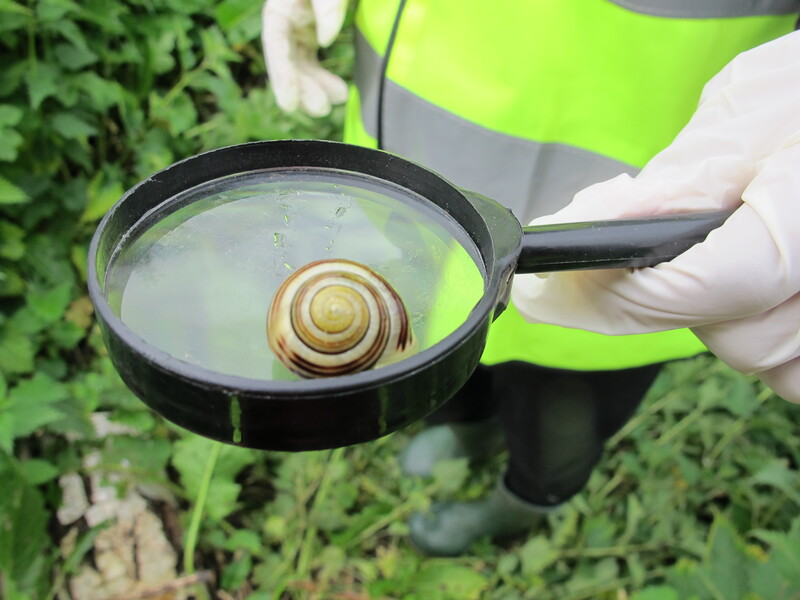 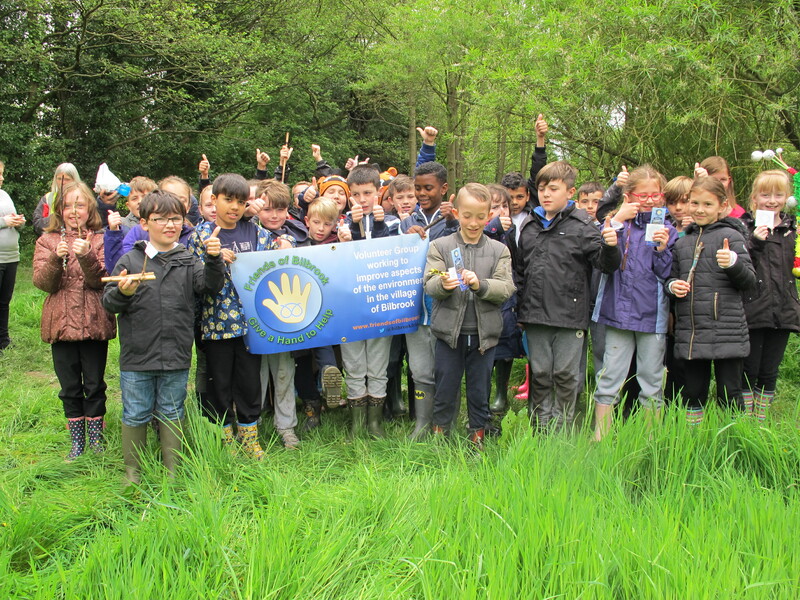 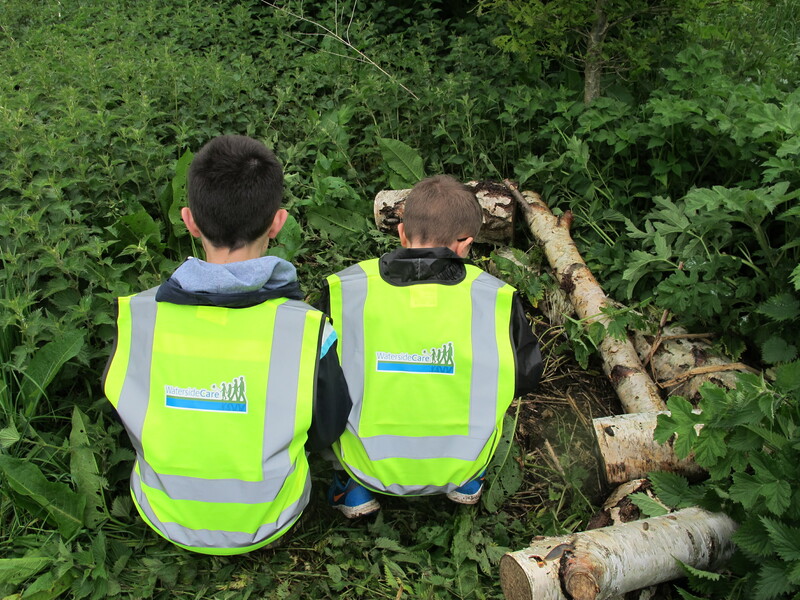 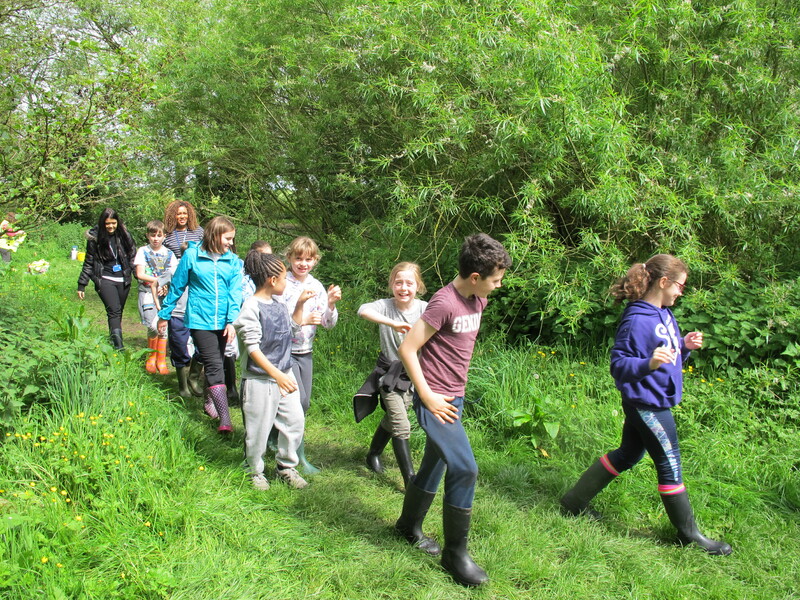 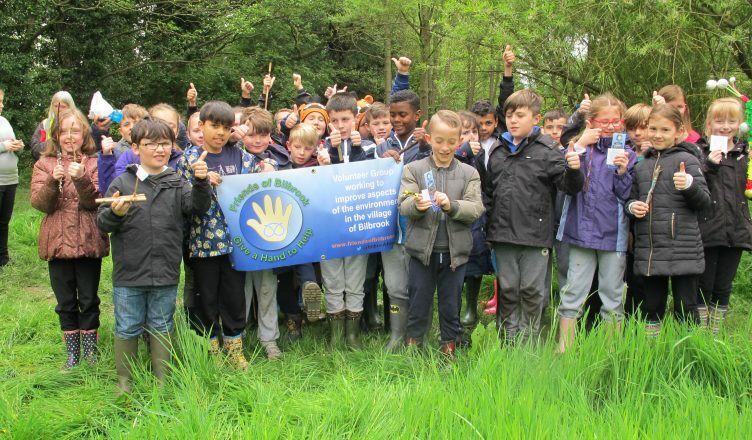 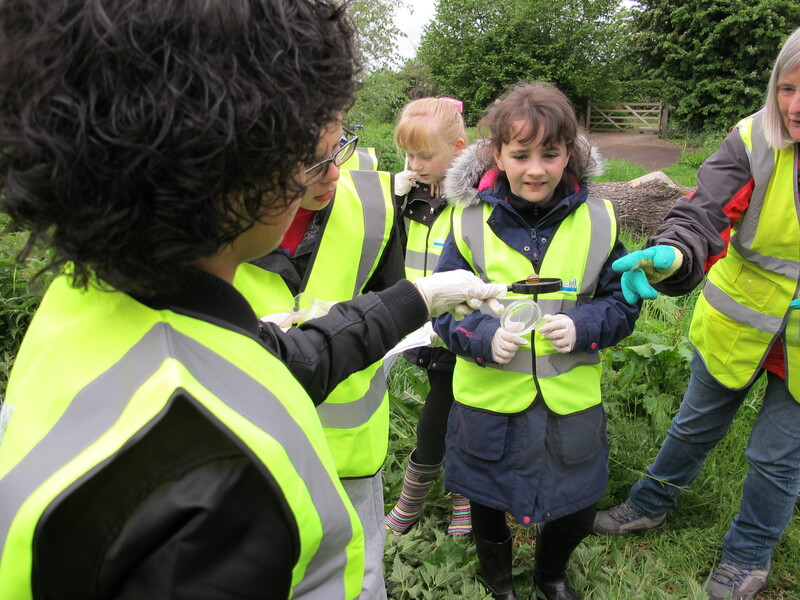 On Friday the 19th of May we hosted children from Lane Green First and Bilbrook Middle Schools hunting for wild life in the Jubilee Wood and Moat Brook. 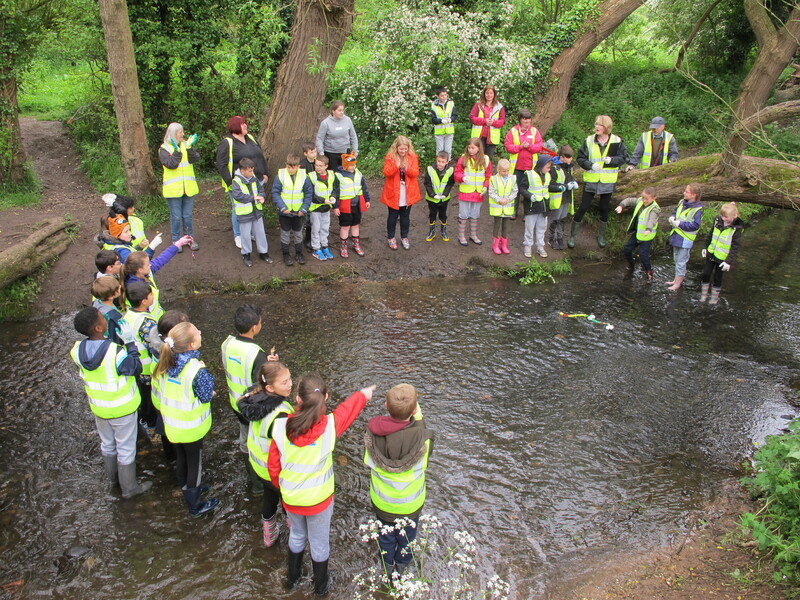 The day was split in half with the children from the First School vising in the morning and the Middle School in the afternoon. 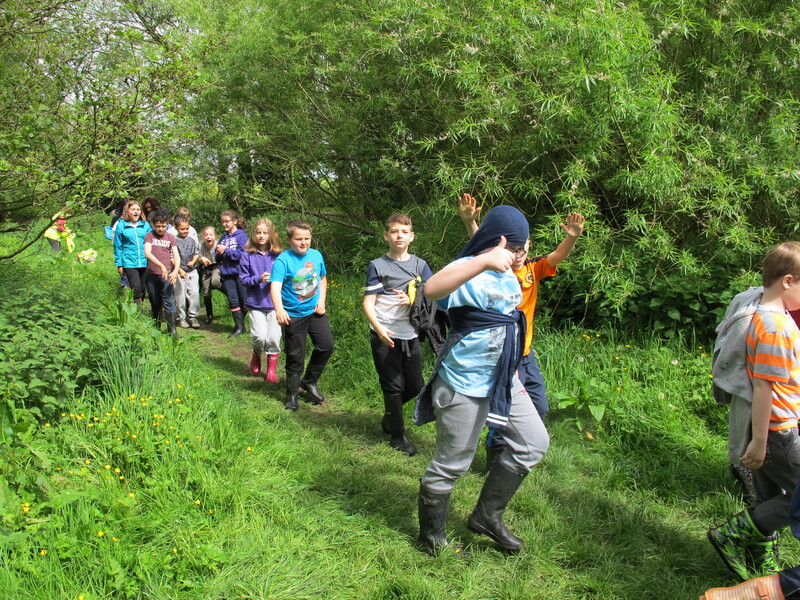 We were very lucky too as the weather was gorgeous. 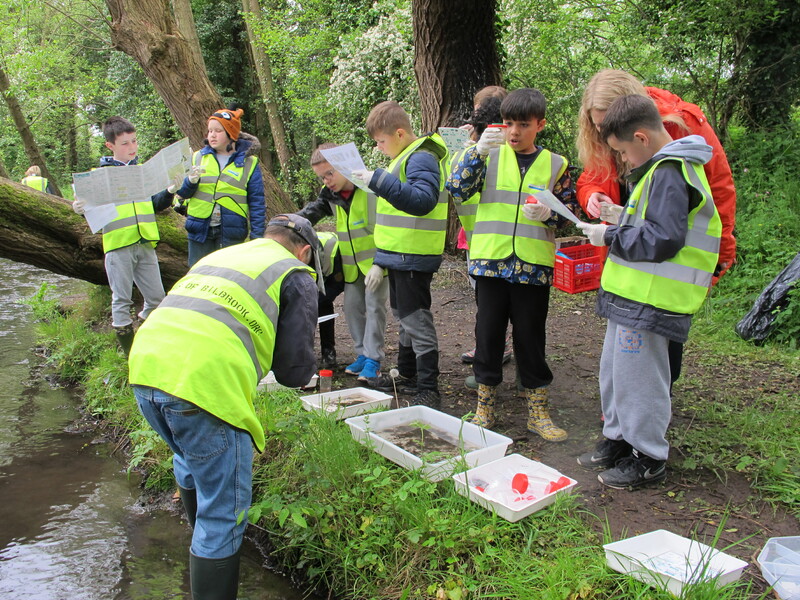 The groups were divided in two, with half the group going on a bug hunt in the Jubilee Wood and the other group carrying out a kick survey of the Moat Brook. 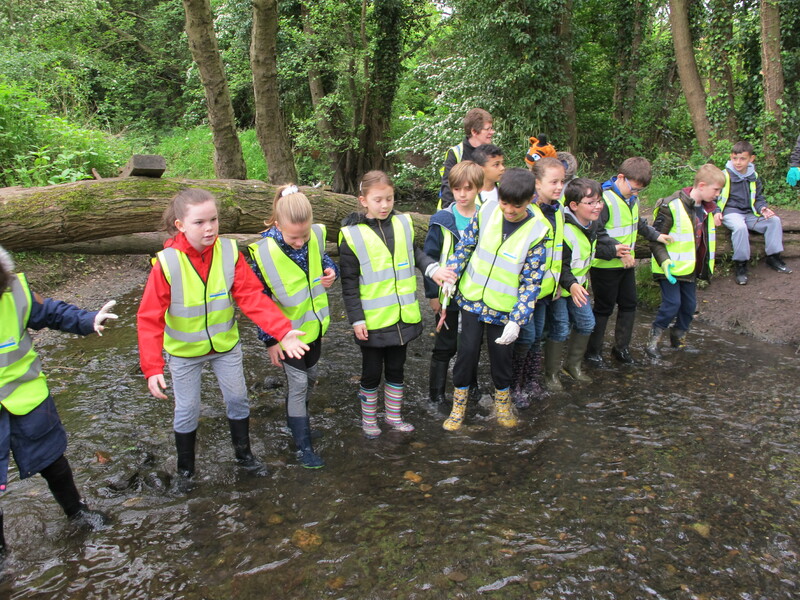 The pupils from Lane Green First School also had a pooh sticks competition using sticks they had made previously in class. 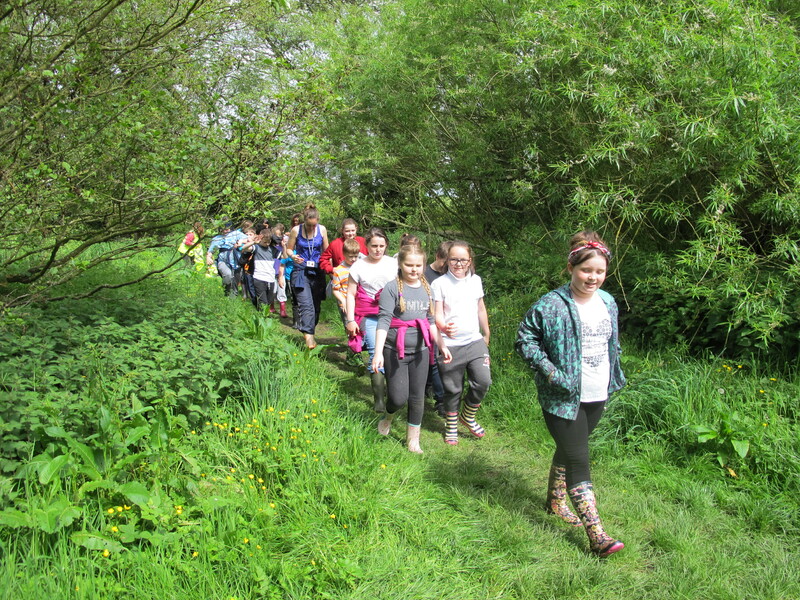 Firstly all the pupils and staff had to have their boots cleaned using special disinfectant. 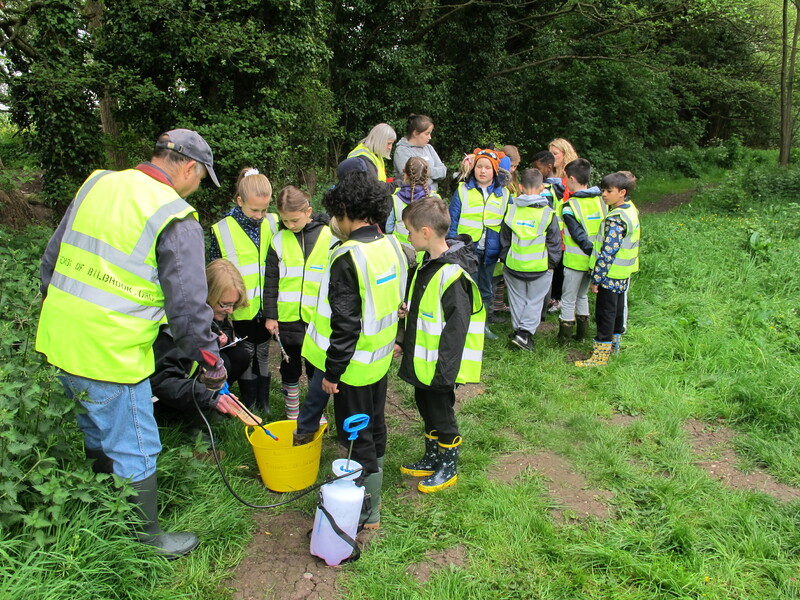 This was to stop any harmful diseases or viruses being carried from other polluted water sources on the boots of the pupils, from entering the disease free Moat Brook water. 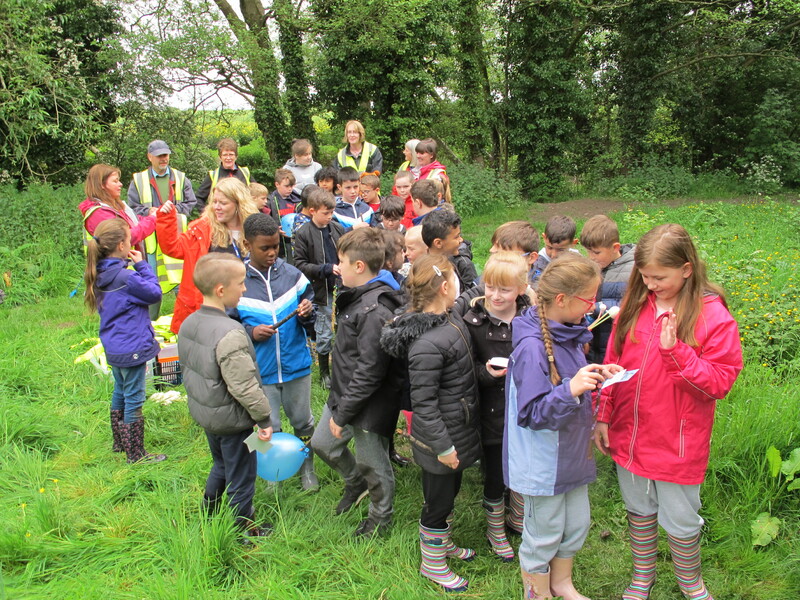 As you can see there there was a lot to see which kept the pupils busy trying to identify each species. 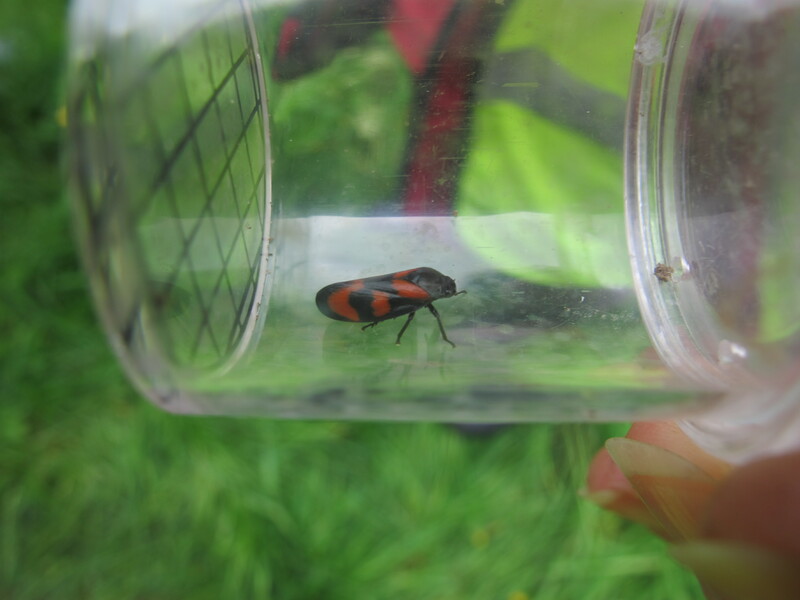 Beetle, frog hoppers, wood louse, centipede, millipede, spider, worm, snail, bee and butterfly. 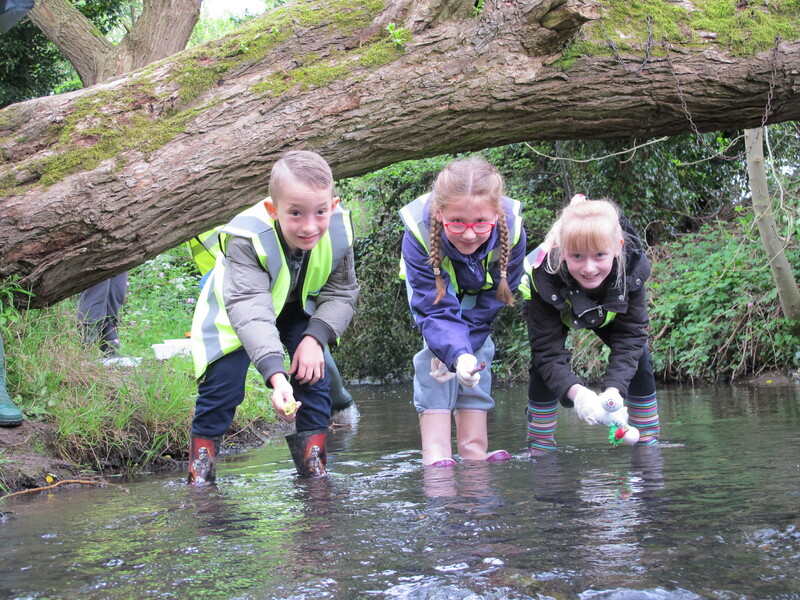 So it’s plain to see that the wood and brook are full of life and are providing a great, clean habitat for a lot of creatures. 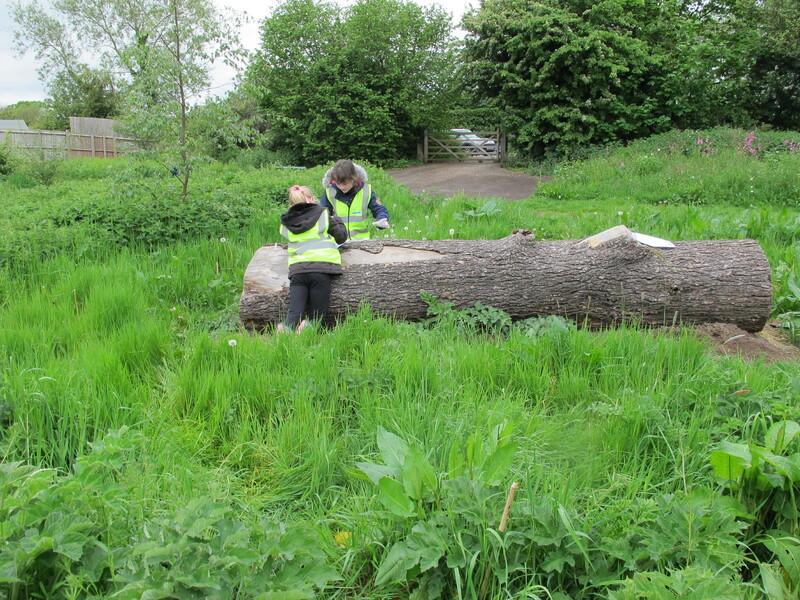 All these insects are part of the food chain and provide food for larger insects and animals, which are abundant in the area thanks to the work of the Friends of Bilbrook. 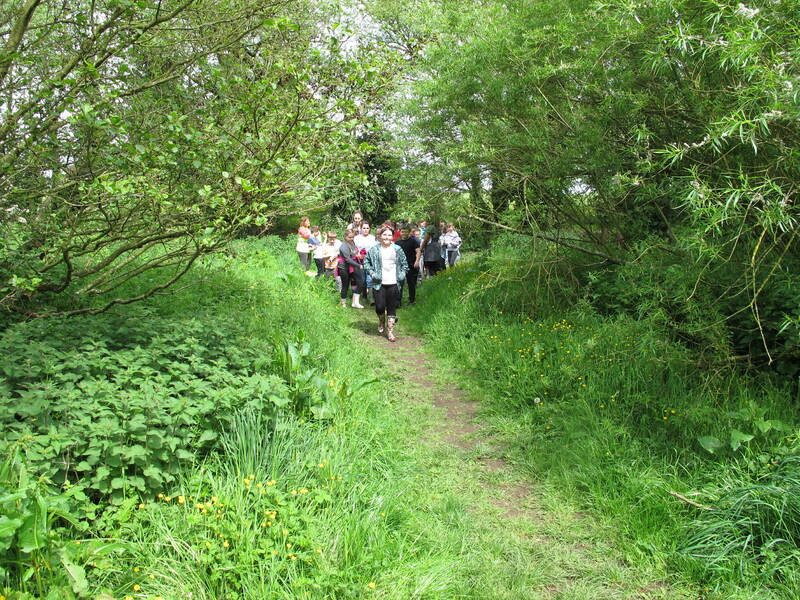 If you haven’t yet visited the Jubilee Wood what are you waiting for?